Search Engine Optimization is the main thing which helps you to improve the ranking of your website in search engine’s search results. With better ranking, you will see better organic traffic coming to your website. 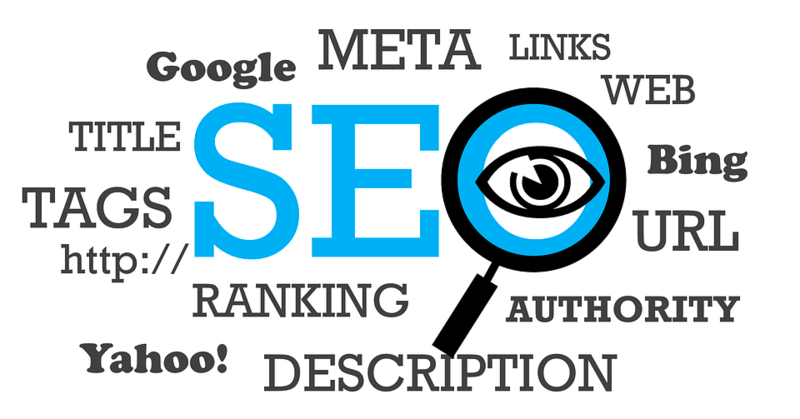 We have already covered a lot about SEO in past. Basically, there are two kinds of optimizations we do: off-page SEO and On-page SEO. For both of these kinds of optimizations, there are various things to follow. To make our work easy while performing SEO, there are various tools to help us in keyword research, finding backlinks, competitors analysis, backlink analysis and other things. There are so many SEO tools available and all claim a lot. So, it creates a confusion while selecting the best tool for SEO. In this post, I am listing few best SEO tools which you should use to perform SEO on your blog. I am listing tools based on my personal experience. How Do SEO Tools Help? SEO Tools are very helpful in notifying wrong things you are doing and helping you understand how your competitors are doing better than you. You can use SEO tools to keep track of your keywords, backlinks, competitors, page structure and more. SEO tools process lots of data, so it requires big data centers and huge processing power. This is the reason these tools are not free. Most of the good SEO tools are now cloud-based and come with the monthly or yearly subscription. In my blogging journey, I have tested lots of SEO tools. Based on my personal experience, I am listing best SEO tools. You can select any of these tools and start working on your website to improve its ranking. I mostly use these SEO tools to see what are the top pages of our competitors and what keywords they are ranking. Then, I make a strategy to outrank them on selected keywords. It depends on how you want to work. Here is the list of best SEO tools to try in 2018. Few tools are similar but few offer something different. So, you go with one or more tools of this list. It is my favorite SEO tool and I always recommend this to all of my readers and friends. SEMrush is an all-in-one tool for auditing your website and take a closer look at your competitor as well. SEMrush tells keywords you are ranking in top 10 pages of the search engine, backlinks, top ranking pages, and competitors. So, you can keep track on keywords ranking and check who are ranking better than you. It helps in making a strategy to outrank your competitors. You can also check your competitors to understand their backlinks and keywords they are ranking. Then you can easily find out keywords with less competition to work and outrank your competitor. I also use this tool for finding keywords with high CPC to boost my Adsense income. SEMrush allows you to check limited data daily but buying a paid subscription is recommended. With a paid subscription, you can use this tool in full power. And trust me, this tool is worth its price. SEO Powersuite is a set of tools for everything related to SEO. These tools help you in keyword research, on page optimisation, off page optimisation, competitor research, rank tracking and more. If you are looking for good SEO tool, this suite of software is something you should consider. The suite includes website auditor, Rank Tracker, SEO SpyGlass and Link assistant. With 4 different software, it makes it easy to manage your SEO work. You can do powerful keyword research, accurate rank monitoring, Site Audit, content optimisation, link analysis, In-depth competition analysis, link management and website optimisation for international and local search engines. You need to download the whole suite and install on your system. So, you can access previous data without needing an active Internet connection. You can think of it as an advantage over other SEO tools added to this list. This software is also paid but worthy of its price. This is the best alternative to SEMrush. In case you are thinking to try Ahref, you can avail free 7-days trial and pay only if you are satisfied with it. Pricing starts at $99 per month with an option to avail discount on annual payment. You can also create a free account to check limited results. This is a really nice tool to check the on-page optimization of your website. It is also a cloud-based tool that scans your website. By a deep scan, it shows you the issues with your website. You can use the report to check issues and start working on the fixes. It shows broken links, issues with HTML tags, issues with site structures, pages with high load time, pages with no or thin meta description and more. This is another tool I personally use. If you have a large website, finding on page SEO issues is not an easy task. By using Seomator, you will surely find issues that issues go unnoticed. You can also download the reports for checking everything offline. There is also an option for white label reports. If you are running an SEO agency, this software really helps. If you have a small website with less than $100 URLs, this tool costs just $5 for the lifetime. For more, you need to pay more. This is a free online tool by Google. It is webmasters to understand how Google sees your website. It tells you if there is an issue with your website’s structure, schema and load time. You can check the organic traffic your website and keywords your website is getting traffic from. You can also submit your Sitemap to Google. It also tells you if there are broken links on your pages. You can also check if your website got any manual spam penalty. It also tells index status and index frequency. If you own a website, you must use this tool as it is the only way to directly communicating with your website. Google also uses this to tell you if there is anything wrong with your website. So, go and add your website to Search Console now. Google Keyword Planner is the part of Google AdWords. This tool is basically for keyword research. It helps you in finding the highly searched, less competitive and high-paying keywords. So, this tool is not only helping in finding keywords for better ranking but also helping indirectly in improving AdSense revenue by optimizing content with high paying keywords. Not just me, most of the pro-bloggers recommend Google Keyword Planner as best free keyword research tool. Rankscanner is an online tool that helps in tracking keyword positions. It automatically shows you the keywords you are ranking for, smart suggestions, create usable SEO reports, measure SEO performance and more. The tool is free, but you need to create a free account to start. You can use this tool to track up to 30 keywords per domain but get unlimited keyword suggestions. If you go with premium plans, you will enjoy more features and number of keywords to track. Screaming Frog is a free SEO Spider that finds broken links, error pages, redirects and more. It helps in analyzing Page titles, metadata, and discovering duplicate pages. The free version of the tool comes with 500 URLs crawl limit. In the pro version, you can get unlimited crawl limit, and more things to analyze. If your blog does not have too many pages, free tool is good enough for your work. Yoast SEO Plugin is also a very good thing WordPress users must use. This plugin helps in on-page optimization. Do a proper keyword research by using available tools and then use this plugin to optimize content for that specific keywords. Most of the popular bloggers use Yoast SEO plugin to optimize their content. SEOquake is a free browser extension similar to MozBar. It pulls important data from web pages. It shows number of external links, Google Index, SEMrush rank, Alexa rank, domain and more. It is good for competitor research. You can quickly find the link opportunities and currency status of a web page. So, competition with your competitors is easy. If you are serious about earning money from your blog or improving the revenue of your blog, you must start to consider SEO as an important thing. I recommend you to start using SEMrush to see good results. I hope this list of Best SEO tools helps you. There are lots of free tools also available, but those tools offer fewer data. The data is not very accurate most of the times. Lots of other paid tools also available. I listed those that I find most reliable and worth to recommend. I will keep updating this list with new and better tools. So, you can bookmark this list for the future. If you know any other SEO tool, let me know in comments. I will surely try that. If you have anything to ask, you can always leave a comment. I will surely reply as soon as possible. How Beneficial Is Keyword Research and How to do it?